API Digest #105: Is the API in Your App a Trojan Horse? 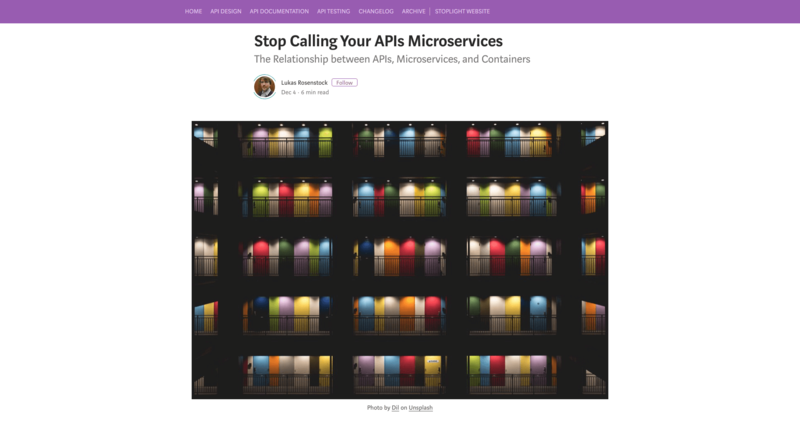 In this article Lukas Rosenstock tells that here’s some confusion about the terms “API” and “microservice,” and some people seem to use them interchangeably. He explains the difference of these two terms in his article. 2. 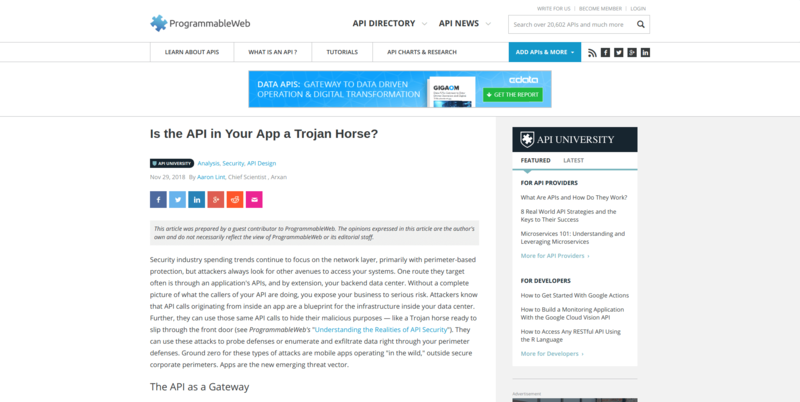 Is the API in Your App a Trojan Horse? Security industry spending trends continue to focus on the network layer, primarily with perimeter-based protection, but attackers always look for other avenues to access your systems. One route they target often is through an application's APIs, and by extension, your backend data center. Aaron Lint shares tips on how to protect your app and API from attackers. 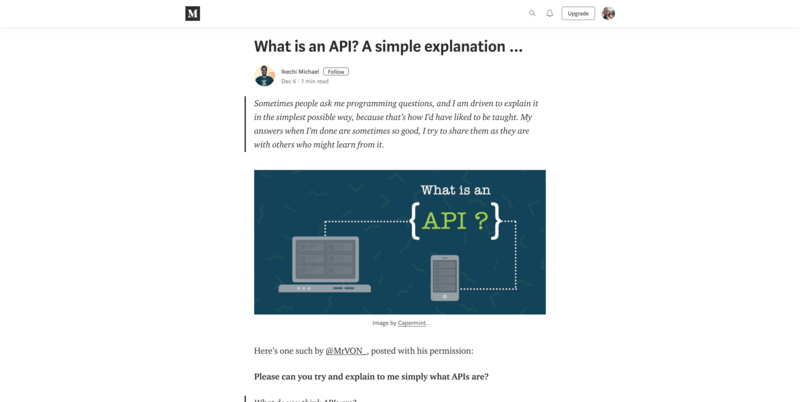 In this article Ikechi Michael explains API in the simplest possible way. He shares his conversation with Mr.Von, answering the questions about API with relatable examples. We all know that using a well-designed API is extremely rewarding while using a poorly-designed API can be frustrating enough for us to give up altogether. 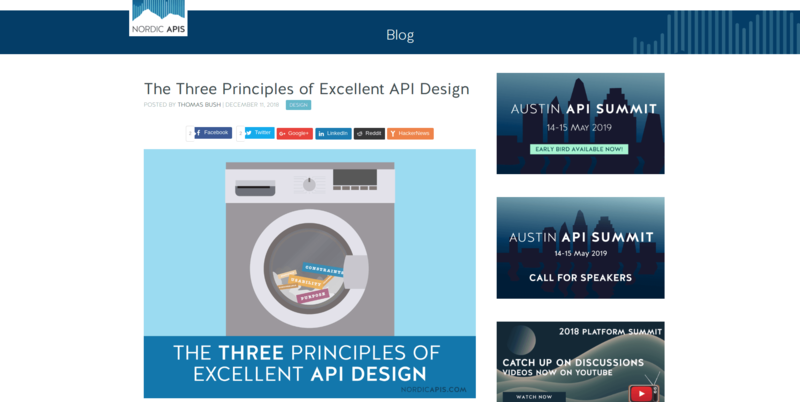 In this article Thomas Bush refers to Arnauld Lauret and shares three main aspects of good API design. 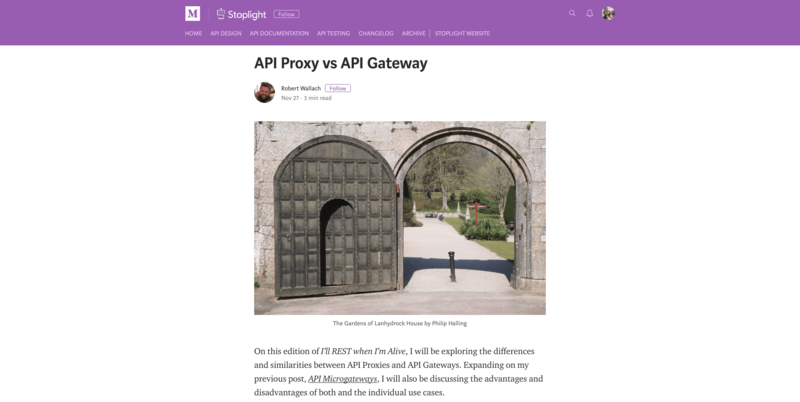 In this blog post Robert Wallach from Stoplight explores the differences and similarities between API Proxies and API gateways. He also discusses the advantages and disadvantages of both and the individual use cases. For a long time, REST was the de facto way to design APIs. Then in 2015, Facebook open-sourced GraphQL and marketed it as a hot new alternative to REST. 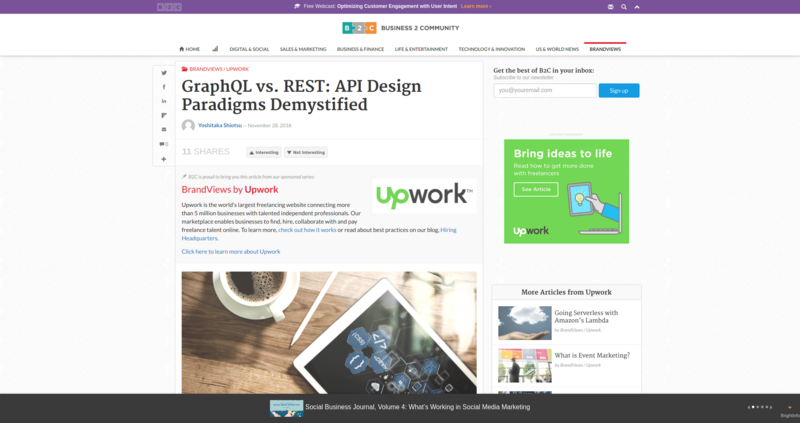 Is GraphQL really better, or should you stick to good old-fashioned REST? Read this post by Yoshitaka Shiotsu from Upwork to find out the key similarities and differences between the two. Interested in getting the latest news in the API world? Check our digest #104 and #103 as well as stay tuned for the new blog posts.